When you come home from a long day at work, you might have your own little angels come to greet you and give you comfort when you need it most. 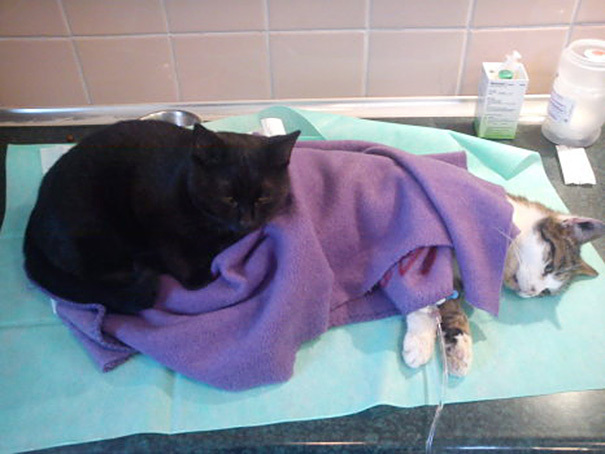 In Bydgoszcz, Poland, they have their own angel that helps other animals at a veterinary clinic get better. 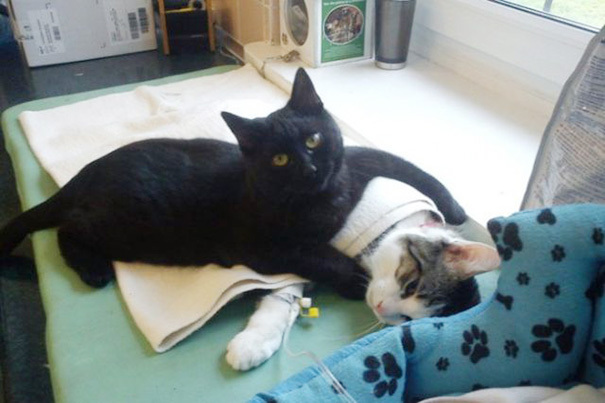 Radamenes, a heroic black cat that suffered from a severe respiratory infection, now helps other animals improve their health after surviving his own traumatic experience. 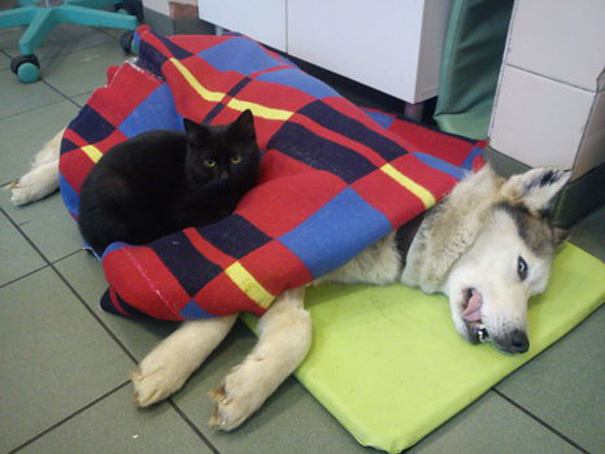 The veterinary center helped him recover from his infection and give him back his life, and now, he cuddles with the other animals, and even helps to clean and massage them. The locals consider Radamenes a hero, and many come to visit him because of his inspiring story and sweet nature. 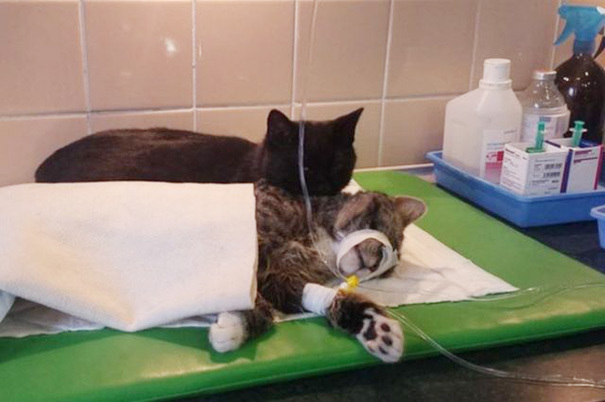 Here are some photos of this angelic cat that will remind you just how amazing and caring animals can be. 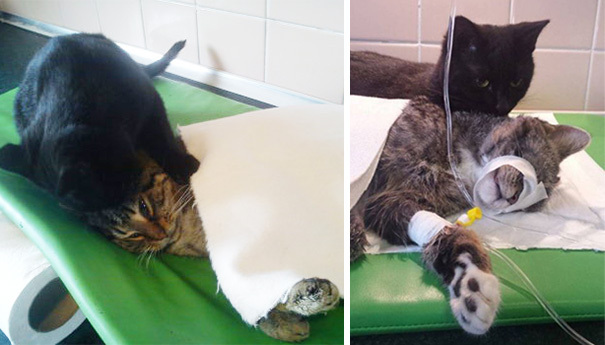 The vets at the animal shelter call him a full-time nurse because he constantly checks on the other animals and gives them love and care. He truly shows us how love, compassion, and care can transform lives, and how our own battles can help others! You can read more from the original news report, here.